Hello everyone! 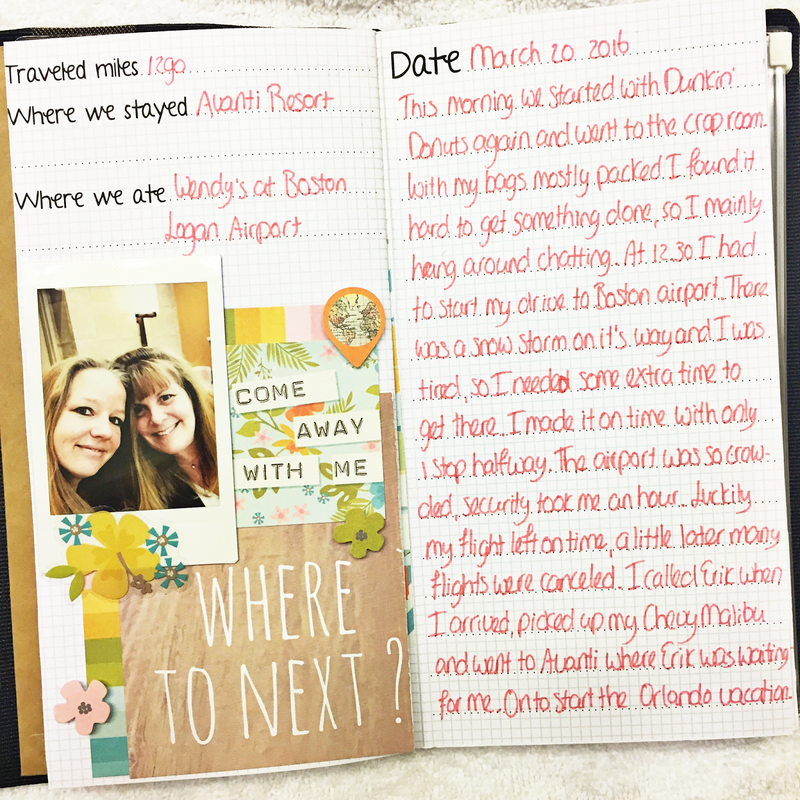 I have a couple more pages in my travel journal to share with you today. I'm trying really hard to keep up while still on vacation and it's not always easy, but at least the writing is up to date. That's the most important, because it is too hard to remember it all once you're back home. None the less, I do try to get complete pages done including the pictures and scrapping part. The difference with our road trips is that these relaxing vacations are sometimes so relaxing that I forget to take pictures. I'm ok with that. I mean, how many pics of the pool and shopping would you want in a journal? So as you can see below in the last image, I'll fix these days with a card that has a quote on it. The Simple Stories You Are Here is perfect for that too. Such an adventure. My favorite albums are travel albums because my travels are few and far between, making the trip ever so special. Great adventure! 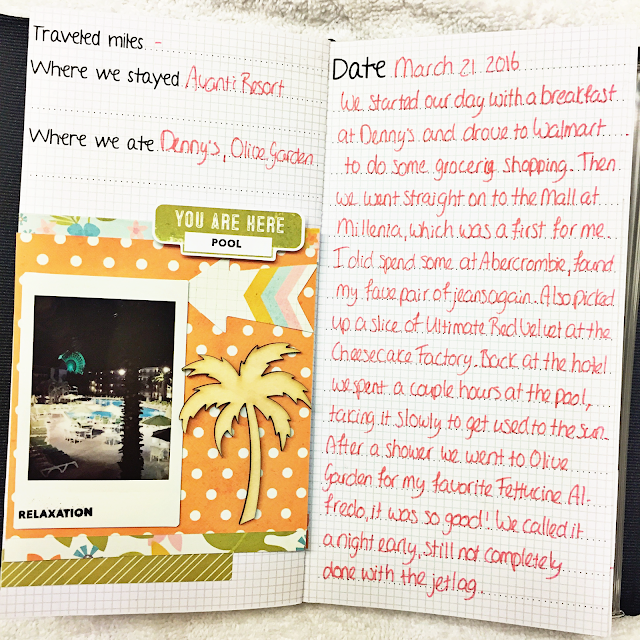 Following your trip on Instagram and love to read your travel pages. 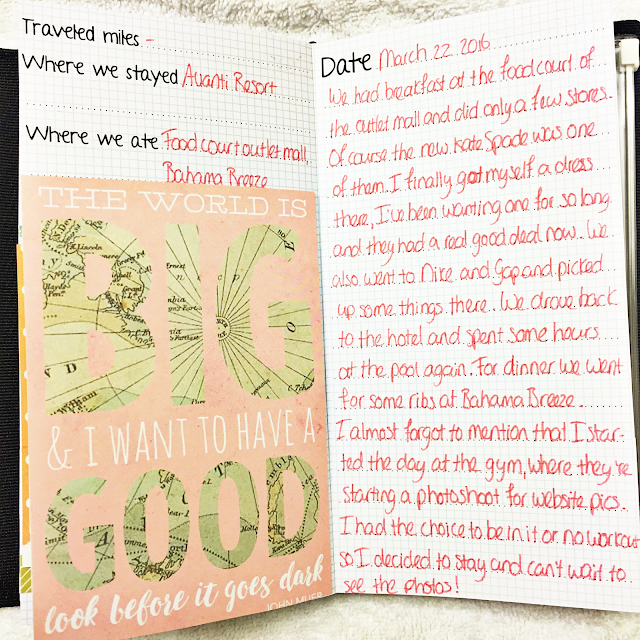 We're planning a trip to Florida so this is a great inspiration!